A clue by food style rather than decor! Waiting for the answer as those kefta or kibba look wonderful. JoelF wrote: Waiting for the answer as those kefta or kibba look wonderful. Good avenue for a hint: these are a (rarer in Chicago) style of falafel, and this place makes them picture-perfect: flat, dimpled, cardamom-laced, and sesame-dipped. This is the best falafel I've had outside the Middle East, and I particularly like this Syrian style which I've had in Minnesota as well, formed in some cases like a donut and in others just dimpled like this, always dredged in sesame seeds. Their pita is exceptional as well with some teff-like elasticity, and the hummus is extremely smooth. The place adjoins the Syrian Forum USA (website is down but looks to work with refugees) and there is overall an optimistic, proud, community-centered vibe across my few visits. 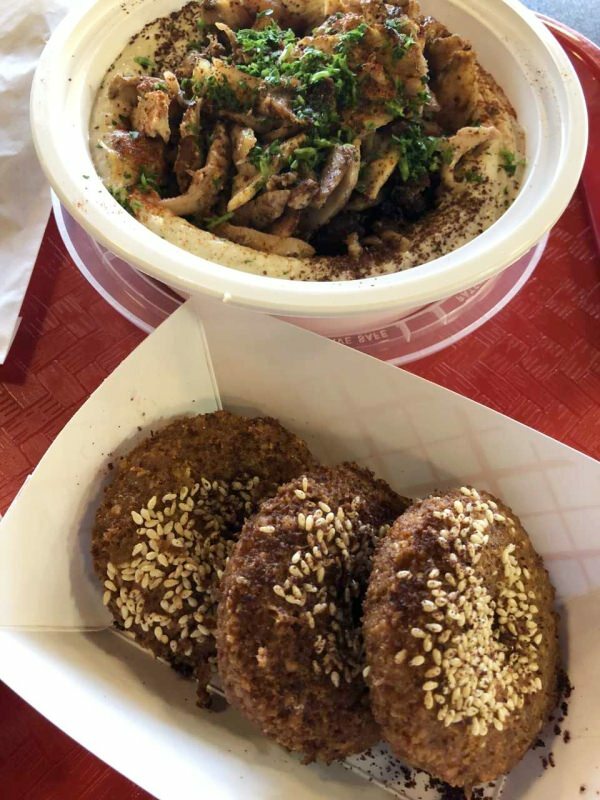 I recommend the traditional meat-on-hummus option with a side of falafel vs. the Naf-Nafish/Chipotlike bowls, though ingredient quality on that side of the menu is also excellent. Bonus: little barbecue sauce tubs (for what, I'm not sure).